Dallah Pharma is the wholesale distributor of pharmaceutical, herbal and cosmetic products. Dallah Pharma distributes these products to retail pharmacies, health and beauty stores, hospitals, and governmental agencies. Dallah Pharma has exclusive distribution rights in Saudi Arabia for 45 pharmaceutical products, 12 herbal products and 8 cosmetic products. The Company has also applied for an additional 12 pharmaceutical and 2 herbal products for registration with the Saudi Food and Drug Authority. 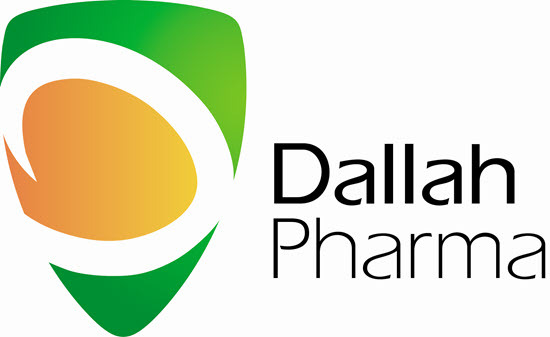 Dallah Pharma is the exclusive distributor of 45 medical products, 12 nutritional supplements and 8 cosmetic products. Currently, there are 12 more medical products and 2 nutritional supplements being approved by the Saudi Food and Drug Committee. Dallah Pharma focuses on the marketing and distribution of products of international manufacturers under the brand name Dallah Pharma, in addition to marketing its own products. New products are tested in coherence to market needs and negotiations are made with various manufacturers to secure the best products. Dallah Pharma is a major supplier to the Saudi and GCC public sector hospitals. Frequent client visits to strengthen existing business relations and create new business opportunities. Attending healthcare and pharmaceutical exhibitions. Joint marketing campaigns with manufacturers. Registration Division: In charge of coordination with official bodies for product registration in Saudi Arabia and the GCC, in addition to managing inspection visits and surveys to factories in the countries of origin. Tender Division: Responsible for the acquisition of tenders, preparing files, submitting tenders, and verifying legal terms and conditions. Exports: This division is in charge of opening new markets beyond boundaries, mainly in the UAE, Bahrain, Qatar, France and Azerbaijan.